Sparkling druzy stone teamed with dramatic tassels will ensure you’re party ready! A gorgeously understated stone and pretty box chain tassels are combined to make our show stopping statement earrings. We love the new jewellery trend for big and bold earrings and these are full of sparkle and movement. Made from natural druzy stone with a stud backing. Druzy is an actual gemstone that has many metaphysical properties and it’s said that the stone can purify and amplify the body’s natural healing properties and strengthen the spirit. It’s also believed that you’ll experience light, joy, creativity and relaxation when wearing druzy! 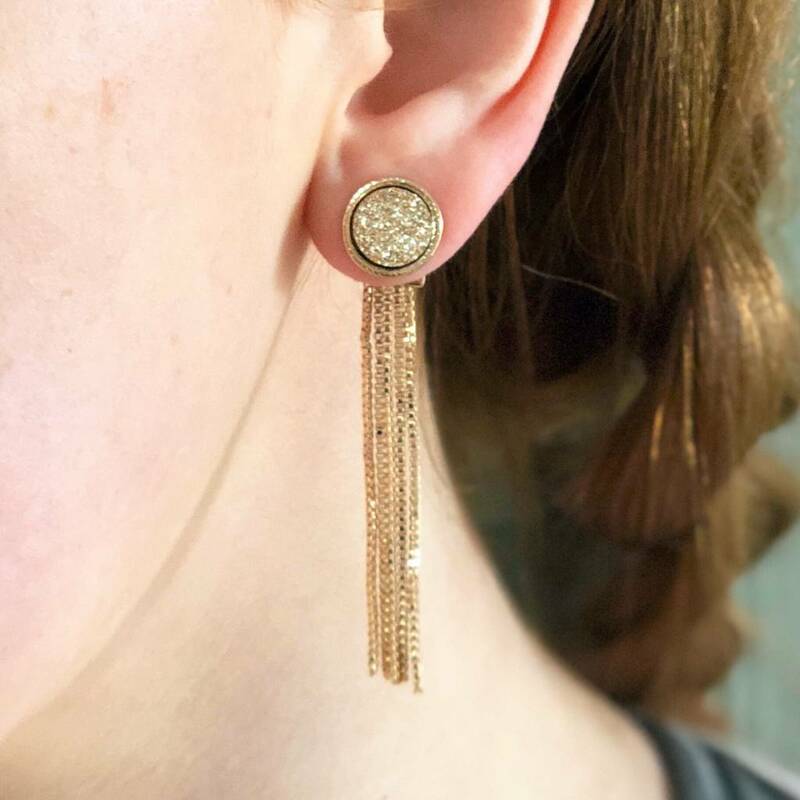 There are no downsides to wearing these stunning earrings! Gold plated with druzy stone. We would always advise keeping your jewellery away from perfumes, lotions and potions and remove before swimming, bathing or showering. Chain drop measures 5cm from the earring back. This product is dispatched to you by Suzy Q Designs.